Maya is in my opinion the best at providing clarity with very difficult circumstances that come up in life that may be hard to understand. She gives you the information straight, without sugar coating and you have a sense of relief even after one session. I have worked with many experts and I can say that Maya is definitely one of my favorite go to people to gain CLARITY. I highly recommend you give it a shot if you are someone that wants to move forward fast and to really get what is occurring on a personal level for you. I am thankful for your guidance and support through my recent move to Hawaii. This morning I awoke still in a partial dream state. I was seeing myself flying above the earth, yet I was connected by these “lines” in various angles to the earth. 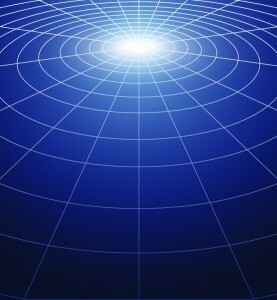 I felt as if I was navigating along these lines; like I was driving or flying my ship (my life) while staying connected to the stars, planets, and even Source. 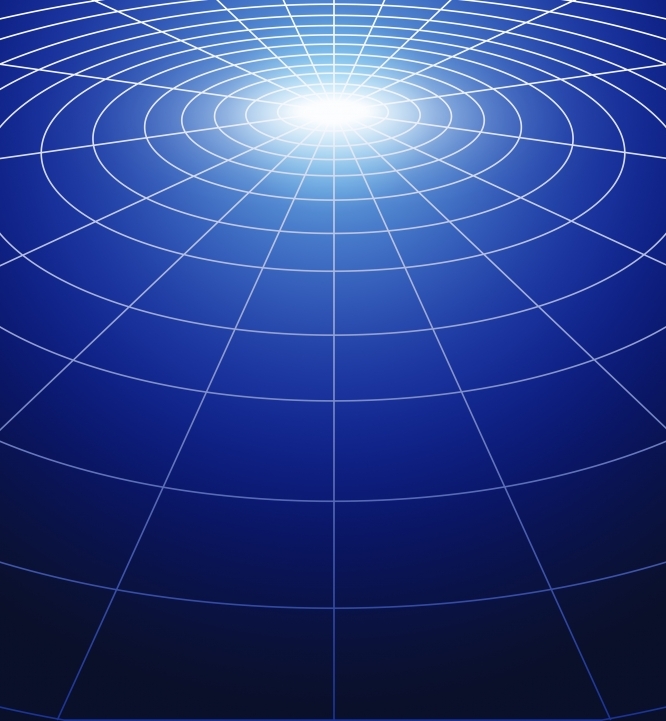 Because I was so connected, yet maneuvering myself in accordance with those lines, I believe I may have been seeing the forms behind sacred geometry. It was just beautiful. With your guidance I am beginning to see this relationship; it makes me feel (less out of control!) and more capable of and confident in making life decisions, particularly the ones I am facing now! It was so easy to see Hawaii “down” there and how perfectly I lined up… That yellow line is very vivid, etc (and a red one) Wow, this is sure an improvement over the dreams of trying to fly and running and flapping my “wings” (arms) attempting to lift off… only to barely get off the ground! Ha ha ha! Thank you so much. I am tuning my harp, so to speak and listening for the harmony of the cosmos, so I can become all that I am. Sending peace and blessings, and lots of love! Thank you so very much. This is what I have been looking for a long, long time. I’ve not had anyone to trust in this matter of the stars and Spirit speaking to me since my own teacher in Florida. You are totally amazing. I’ve never ever had a reading like this and was not sure that such a reading existed, but my heart said it did. ……… I owe you a debt of gratitude for the reading you recently gave me. Your knowledge mixed with warmth and true caring definitely made it the most wonderful, informative experience in my life. You were not afraid to make predictions and help me plan for my future. I know the small things can change in an instance, but you helped me see the big picture and where I fit. I cannot wait to have another reading with you! I want you to know how grateful I am for the session we did last week. It has greatly clarified a number of things I’ve been in confusion about for a number years, namely the new direction of my work, whether to sell my house or keep it and most importantly why I haven’t felt motivated to move forward living where I do. As a result of our session I have made some major decisions which have already had positive impacts on my life. I have decided to sell my house next spring, have clarified my purpose for being here on this planet!!! (wahoo! ), feel much more motivated to get on with this new direction of my life, heightened my exuberance and passion and am already planning to make a move to this new area of the country that promises to support my career as well as my love life! What can I say? You came along at exactly the right time to help me with the changes that are now underway! Mayan wisdom video you shared. additional insight into current and emerging energies. With much appreciation and infinite blessings! The information I received from Maya helped me to maximize my gains, as well as cut loose on things which were draining to me. I had planned to move to Australia and open a retreat where I could dedicate myself to teaching Yoga and natural healing, but first I needed to sell my house. 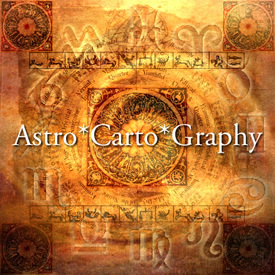 Fascinated by astrology and the concept of Astro*Carto*Graphy, I made an appointment to have a reading. What Maya told me changed my life! Maya told me that in Australia my life would be dominated by the planet Saturn until 2012. This meant I would have a hard go of it there. In fact, just getting the visa had already proven to be a source of stress and a huge expense. The highlight of the reading was that coming up was a good time to sell my house in Florida. Maya advised me to close the sale on September 8, 2005 at 3 PM. On that date, I closed on a cash deal for over 1 million dollars. A month later, Hurricane Rita passed through Florida, taking most of the roof off. Around the same time, a consulting assignment took me to Costa Rica, and without anticipation, I met a most interesting man. By May, the love affair of my fantasies was in full bloom. I kept seeing him in my dreams as a shaman doing a ceremony in a waterfall. Once again, Maya looked at my A*C*G maps, and saw that I had Venus moving over Costa Rica. No wonder I fell in love! A series of synchronistic events led us to a rainforest site with private waterfalls, just a few minutes from the beach. The Waterfalls Villas property has doubled in value since we bought it 3 years ago. And our guests define this land as a sacred space. Looking back, I know that by using astrological knowledge, I am able to create a healing space and share one of the most beautiful places on earth. Our waterfalls face a wall of native orchids, where the flourescent blue butterflies dance in the mist, the Jaguarondi sip a cool drink as they pass, glancing to the monkeys and Toucan in the forest. Thank you Maya, for giving me insight through the sacred art of astrology that opens up the Bounties of the Universe! As a retired teacher and as a metaphysical artist, I was spiritually drawn to Maya White, because of her obvious connection to universal truths. It had been over thirty years, since I had asked anyone to do an astrology chart for me. The one that Maya prepared was excellent with personalized, and on target information. I also attended an astrology workshop led by Maya in which she made concepts interesting and easy to understand; things which had previously seemed complicated. Maya White is a genuine, caring, conscientious professional whom I highly recommend to anyone seeking legitimately sound advice and encouragement. Maya White is a powerful and soothing presence with tremendous insight and laser-beam intuition! The sessions I had went above and beyond anything I had ever experienced in the realm of astrological readings. She helped me identify a template to orient myself for now and the future. I felt that the readings were so much more than just an explanation of my natal chart–they were a transmission of the psychology behind the alignments! Finally, the inclusion of the “asteroid goddesses” has changed the way I look at astrology forever! What an essential and often overlooked aspect of what I now know is so vital to the full understanding of one’s natal chart! Thank you, Maya!!! My reading with you continues to guide and enrich my life. The night of the reading I dreamed about a black panther! I immediately got out my Animal-Speak book and the message was so profound. The panther implies that an old issue may finally begin to be resolved, or even that old longstanding wounds will finally begin to heal, with a reclaiming of power. So inspiring! Sending The Divine healing light your way. Your predictions are succinct, bold, certain and accurate – sometimes even to the date and time! I have never relied upon a horoscope before yours. Practical, insightful and straightforward I am astonished by how true-to-life your readings are. Never ‘airy fairy’, I feel grounded by what you write at a time when there is much uncertainty for me. Wow, I can not believe. Did I need advice today. Thanks, thanks, thanks. I pray that I can repay you somehow for your gift of knowledge and guts to know and tell me last night. Without your actions I would have lost it all. My sanity. Business confidence in myself and my future. I feel like I am standing on the edge of the world (I am so afraid of heights.) And a giant loving bird (another of my totems) gathers me up lovingly and flies me to safety. It is all so right. Love you for all who you are. Thanks for your superb astrology! I’m (25 male) a computer engineer working in Delhi (INDIA) and while searching a good website for monthly Horoscope I got you. You wrote each and every single word truth and it’s very useful for me. I’m waiting here for your April Forecast. Thanks again for your reading and update of my transits and progressions. I’ve known that I’m coming into a major new chapter of my life and your insights helped solidify certain thoughts I’ve been having. I must admit, I was a little astonished at some of what you saw and admire your willingness to tell me. All in all a very powerful reading, which like a compelling film or dream, has had the effect of drifting in and out of my consciousness for days now. Actually I’m trying to grasp for words to describe feelings that are so raw and powerful that there are no words, really. You are one of those few people I’ve encountered in my life, usually right before a huge sweeping change, who give voice to the rumblings of my unconscious mind and help propel me along the new journey. A catalyst, I guess. I imagine your chart must be very interesting.